This was a reason why a group of researchers at the University of California (San Diego) have developed a new kind of biosensor for long-term alcohol consumption monitoring. The device is interesting, and not because it's been reduced to a form-factor that can be tolerably implanted under the skin. This product, measuring alcohol intake through reactions with an enzyme, is ultra-low power and incorporates wireless charging. The device was one of many to be showcased at IEEE's Custom Integrated Circuits Conference (IEEE-CICC 2018) that took place on 10 April 2018 in San Diego. 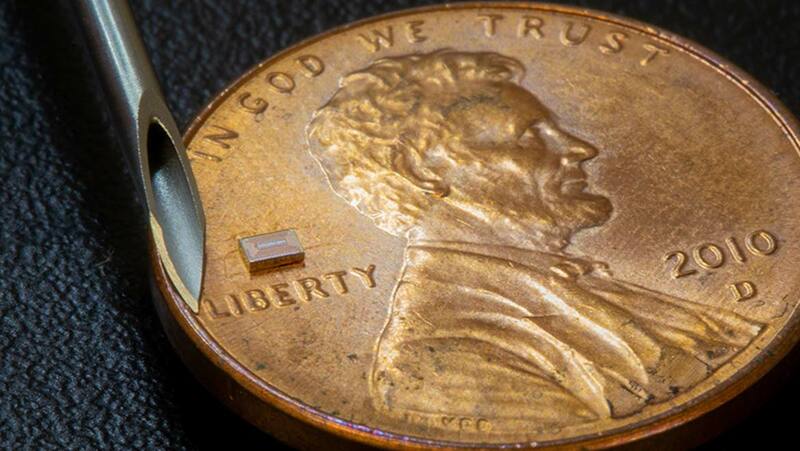 The tiny implant was conceived and developed by a team at UC San Diego's School of Engineering. Researchers, led by Professor Drew Hall of the Electrical Engineering Division, intended for this device to improve and, eventually, replace breathalyzers. These implants are currently being used to monitor adherence to programs such as alcohol abuse treatment plans. However, the efficacy of breathalyzer use is problematic, mostly because of the lack of co-operation from individuals. Alternative techniques in the provision of alcohol intake monitoring include regular blood tests. However, these activities must be administered by trained staff, which raises different issues. Prof. Hall and his team set out to invent a biosensor that could be worn or implanted, long-term, to assess systemic alcohol in the body. Their work resulted in a small implant measuring about 1 mm3 in size. This object can be placed under the skin and was built to reside in the interstitial fluid (a space located between skin, blood vessels and organs). The surface of one of these inserts was impregnated with alcohol oxidase, which metabolizes alcohol in a manner that can be detected using modern-day bioelectronics. The sensor was also considered capable of reading other biological information such as internal body pH. Although, it will need to 'filter' this data out as noise to the alcohol's signal. The sensor also uses wireless technology to transmit and receive electrical signals from nearby devices. This emerging technology will enable the implant to be operated and can be powered by a smartwatch. The device's presentation at IEEE-CICC 2018 represents a foray into the next generation of wearable technology. Other information, such as the power consumption of the sensor's chip, will also be available soon. The chip found in a single implant consumes only 970 nanowatts of power, which was designed to reduce the impact on the companion smartwatch's battery. Also, a higher level of power use may result in energy loss, in the form of heat. As the surrounding environment will be the human body, this may become intolerable over time. Therefore, an ultra-low power solution is the best option for this biosensor. This solution is sufficient to power the sensor, which will then send data to the wearable. The information will arrive in the form of radiofrequency signals, which the sensor will receive from the smartwatch, and selectively radiate back to the same device so that it represents actual readings. The method of data transfer, known as backscatter, is compatible with minimal-energy computing and it also optimizes 'readout' times. Therefore, the power in the system will be well-conserved. However, it should be noted that the UC San Diego team are nowhere near the testing stage in target patients. The specifications and measurements released in connection with the sensor were derived from in vitro trials. The experiments were conducted in artificial analog environments constructed using human serum, alcohol aliquots and pigskin. But, the results derived have encouraged experts to plan subsequent animal studies for this device. The UC researchers will also be working on the product with the Qualcomm Institute in San Diego, start-up CARI Therapeutics and addiction researcher, Dr. Carla Marienfeld, in the future. A new biosensor prototype allows for the enhanced monitoring of patients with a substance abuse disorder. It features wireless technology, advanced bioelectronics, and low-energy circuitry. These factors will be able to give read-outs on the alcohol content of the people implanted with the device. As presented at an April 2018 IEEE conference, the product may showcase the potential of next-generation health tracking, as well as the direction the field is taking. This innovative approach highlights the possibilities for future healthcare professionals in the evaluation of patients with challenging issues. It is with great hope that such devices will be deployed with appropriate ethical and welfare in mind.